been disputed will be deleted so that you can not return any information from your Flickr site. All of your photos will be deleted and we won't be able to recover them. 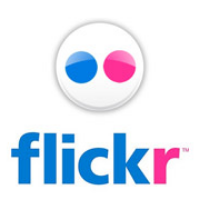 Click Delete your Flickr account. Read the important messages, then click OK-NEXT. You'll be prompted to enter your password to confirm your account deletion. The link will take you to the deletion section of your account and you will be prompted to login. After login, the deletion area will open. Start the process after reading the instructions. Important Note: Please read the instructions carefully before deleting your account. Your account may not be undone after it has been deleted.